A gallery of my original nature and urban photography, available for purchase as archival fine art prints, wrapped canvas prints, posters, photos, through my Etsy shop and Zazzle store. Subjects range from landscape, floral, birds and animals to sunsets and sunrises. Love one of the images but don't see a size or medium you want through the particular venue? Please feel free to Reach Out and I will do my best to accommodate you. 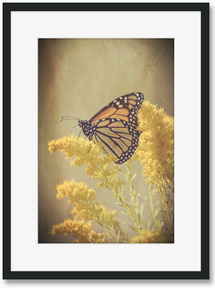 Monarch in Flight Photo Print on Wall from Jocelyn Ball on Vimeo.